Yiwu easels are located in International Trade City District 2, and the first floor. 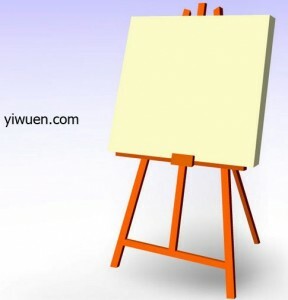 Easels consist of few braches jut and a big square board. When it comes to types, we could say tripod、four-foot frame. The material of Ywu easels can classify into three main parts: wooden easels、metal easels、plastic easels. When comes to its function, it is widely used for oil painting.